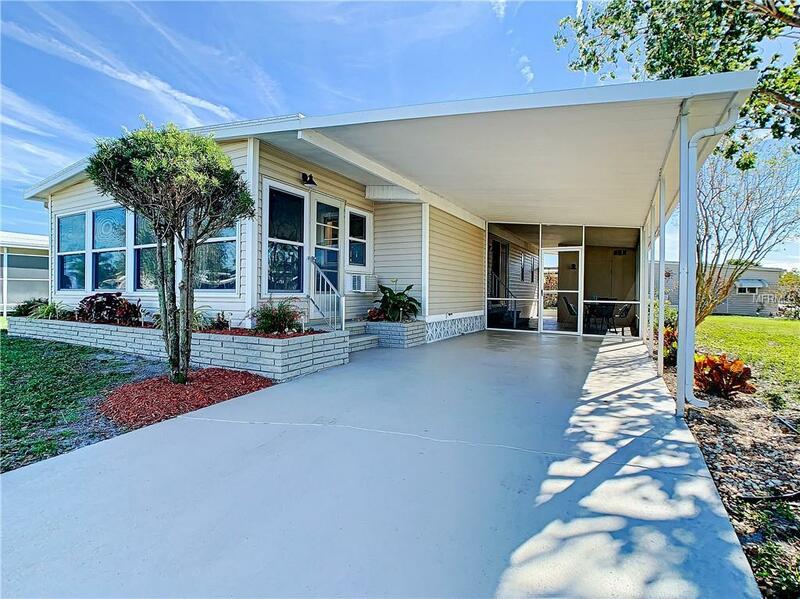 BEAUTIFULLY UPDATED HOME in lovely 55+ community! Spacious corner lot! 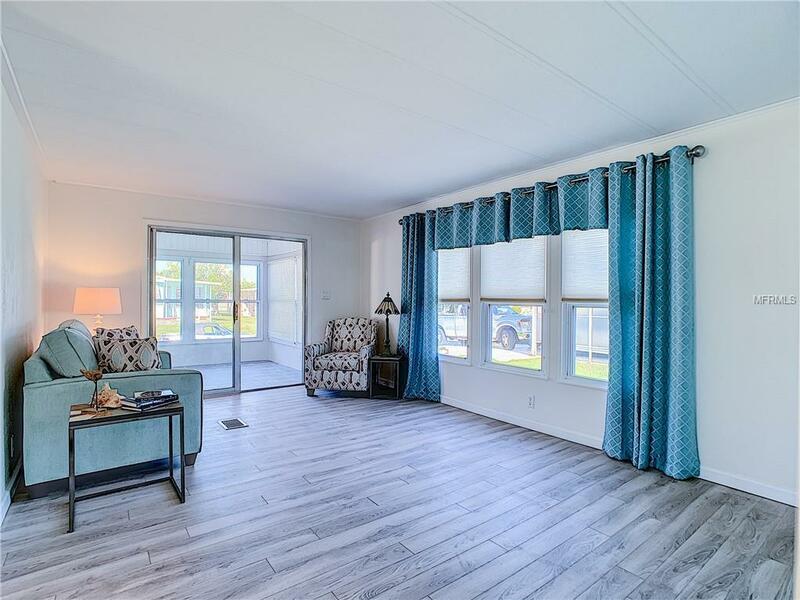 This 2 bed/2 bath home offers MANY UPDATES: new electrical panel (2019), new roof (transferable warranty), new a/c, new flooring, and updated decor. Updates completed in 2018. Florida room with large windows, tile floor and new window a/c unit. 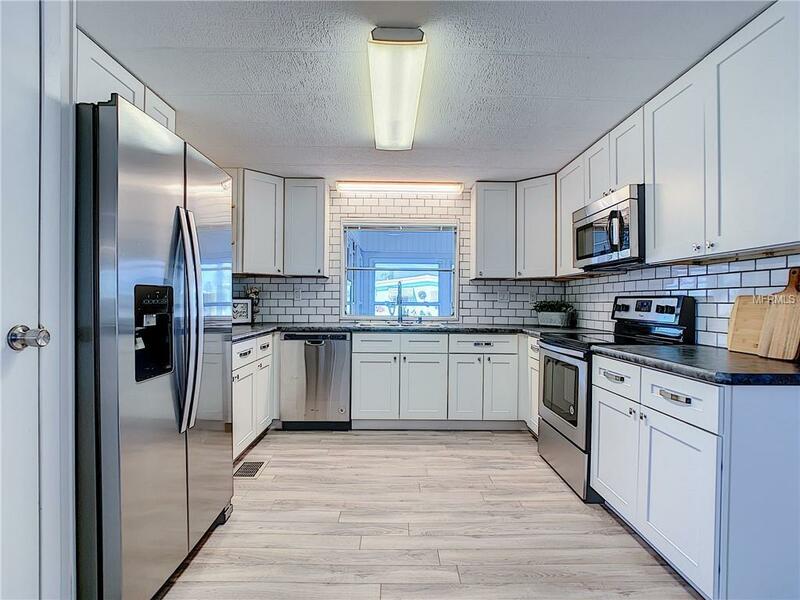 Completely new kitchen features solid wood Shaker-style cabinetry with full extension/soft close drawers and soft close doors, custom counter tops, new stainless steel appliances, subway tile back splash, closet pantry, and open shelving. 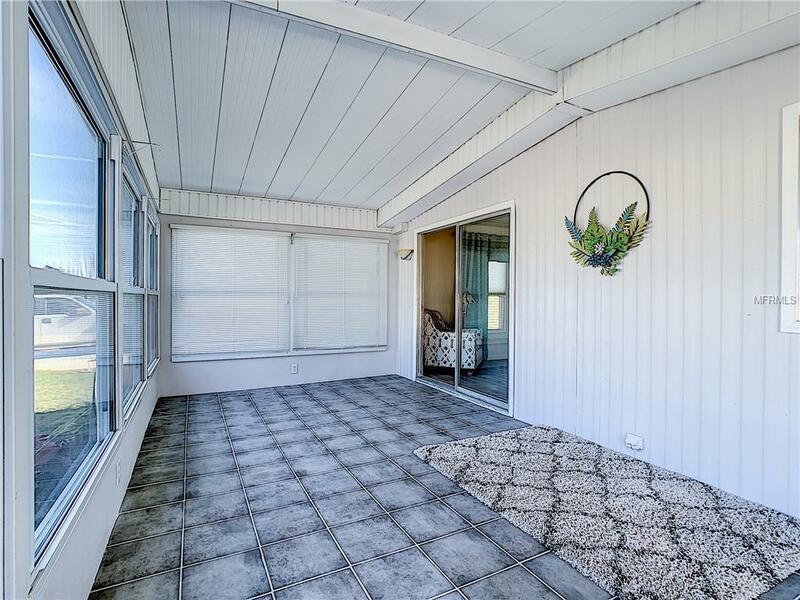 Screened patio. Updated vinyl windows throughout most of the home. The master bedroom has two closets and additional shoe closet. The master en suite has an additional closet, new sink/vanity, new toilet & custom tiled shower. The second bathroom features a tub/shower combo, new sink/vanity, new toilet, and a linen closet. The home has 3/4" sub-floor, storage shed with washer & dryer, electric water heater, carport, and new plantings in the flower beds. The home has been freshly painted and has a modern feel. It is ready for you to add your unique touches. SHARE IS INCLUDED IN PRICE!La Casa boasts nine lakes, a 40 acre preserve, two heated swimming pools and spas, two clubhouses, boat launch, fishing dock, tennis & pickleball courts, shuffleboard, fitness room, sauna, bocce ball, billiards, darts, lending library, RV & boat storage. There are many social activities and opportunities to make friends.Sorry, this home is not on a pet lot. Additional Lease Restrictions The Sub-Lease Of A Home in The Park Must Have A Personalmeeting With A Management Representative Before A Rental Agreement Or Membershipagreement is issued And Occupancy Approved.